Our leaders are fearless, determined and experienced. The fight against cancer is personal for many of them, and that is why they will never stop working on behalf of survivors everywhere. 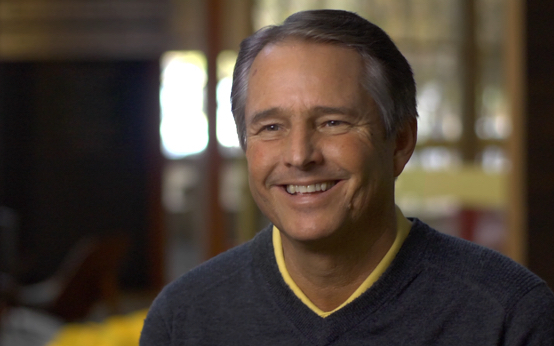 Prior to becoming President of LIVESTRONG in 2016, Greg Lee served as its Chief Financial Officer for nearly 10 years, responsible for the integrity and operation of all financial, accounting, technology and compliance activities for the LIVESTRONG Foundation. With more than 25 years of experience in financial management and work in the nonprofit arena, Greg Lee served as the Manager of Finance and Administration for The University of Texas Investment Management Company (UTIMCO), where he was responsible for the finance, accounting and compliance activities for this nonprofit organization, and he managed more than $21 billion in investments for The University of Texas System. In his role as Vice President of Finance and Business Operations for the American Heart Association, he directed the activities of both the finance and operations functions, including 31 staff in 14 regional offices, revenues in excess of $32 million, a $28 million operating budget and an investment portfolio of $35 million. At the LIVESTRONG Foundation, Kelly is responsible for the overall integrity and functionality of the financial reporting, planning and analysis, and regulatory compliance activities. Kelly has a focused career in the nonprofit industry with over a decade’s experience in senior-level financial management in environments often characterized by transition or high-growth. Prior to joining LIVESTRONG, Kelly served as the Controller for KIPP Austin Public Schools, where she directed accounting and financial compliance for the nonprofit charter district encompassing 10 schools, 3 campuses and a $50M annual budget. Formerly, Kelly was Controller for the AT&T Performing Arts Center in Dallas where she managed all of the accounting and financial planning activities in addition to leading the implementation of an accounting ERP system. While at the Center, she was instrumental in building much of the financial infrastructure, particularly with respect to distributed purchasing and budgeting capabilities, ticketing sales settlements and the development of meaningful performance reporting to enable strategic goal development and achievement. She previously held roles as the Director of Finance for TITAS, a nonprofit music and dance presenter in Dallas and as Accounting Manager at The June Shelton School and Evaluation Center. She started her career as a Store Accountant at Whole Foods Market. She is licensed as a CPA in the state of Texas and earned her Bachelor‘s Degree in Accounting at Texas A&M University. Our Board of Directors participate in our events, fundraise, volunteer and fight with us every step of the way. LIVESTRONG is made stronger through their advice and leadership. Candice Aaron is currently the Chief Compliance Officer for GE Capital Equipment and Commercial Distribution Finance, working out of GE’s Dallas office. In 2009, she left her law firm partnership, where she led the firm’s corporate governance and litigation practice, to join GE Capital. Aaron graduated from the University of Michigan and the University of Pennsylvania Law School. She has been involved with LIVESTRONG since 2008 when she was the founding Vice Chairperson of the LIVESTRONG Young Leader’s Council. In addition, along with her husband, Brent, Aaron is a member of the LIVESTRONG President’s Circle. An eight-year cancer survivor, Aaron has served on the LIVESTRONG Board of Directors since 2012 and is a member of the Board’s Executive and Audit Committees. Amelie G. Ramirez, Dr. P.H. Amelie G. Ramirez, DrPH, is a Professor of Epidemiology and Biostatistics at The University of Texas Health Science Center at San Antonio, where she also is founding director of the Institute for Health Promotion Research (IHPR). She also is the Dielmann Chair in Health Disparities Research and Community Outreach and the Max and Minnie Tomerlin Voelcker Endowed Chair in Cancer Healthcare Disparities and Outreach at the Cancer Therapy & Research Center (CTRC) at The University of Texas Health Science Center at San Antonio. She also is Co-Associate Director of the Cancer Prevention and Population Science program at the CTRC. Over the past 25 years, Dr. Ramirez has directed many research programs focused on human and organizational communication to reduce chronic disease and cancer health disparities affecting Hispanics/Latinos and other populations. In 2007, Dr. Ramirez was elected to the Institute of Medicine of the National Academies and was named a Professor of Survivorship by Susan G. Komen For the Cure. She chairs the CDC's Breast and Cervical Cancer Early Detection and Control Advisory Committee and Komen's National Hispanic/Latino Advisory Council, and is a member of Komen's Scientific Advisory Board, Avon Foundation Breast Cancer Crusade Scientific Advisory Board, the LIVESTRONG Foundation's Board of Directors and the Institute of Medicine Roundtable on Translating Genomic Based Research for Health. 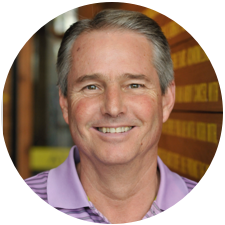 Jeff Garvey is the founding chairman and currently serves on the Executive Committee of the Board of Directors of the LIVESTRONG Foundation. Jeff is a pioneering venture capitalist, nationally recognized philanthropist and active contributor in the Austin community. Jeff is the co-founder of Austin Ventures, one of the largest and most active venture capital firms in the U.S. From 1979-1999, he served as the firm’s first investment professional and a general partner and leader of the company through its first six investment funds. Previously, from 1971-1979, Jeff held several senior lending and management positions at PNC Bank, in both Philadelphia and Pittsburgh. The organizations in which Jeff has served as board member, adviser or donor over the years include KLRU Public Television, The Center For Childhood Protection, The First Tee of Greater Austin, Helping Hand Home, Children’s Medical Center Foundation, Ronald McDonald House Charities, Settlement Home for Children, The Association for Professional Fundraisers, Gladney Home For Adoption, West Austin Youth Association, St. Andrews Episcopal School, Deerfield Academy and St. Edward’s University. Dr. Johnson is the Donald W. Seldin Distinguished Chair in Internal Medicine and Chairman of the Department of Internal Medicine at UT Southwestern Medical Center in Dallas, Texas. He is a member of the ABIM Board of Directors and serves as the Chair of the ABIM Subspecialty Board for Medical Oncology. From 1983 until 2010 Dr. Johnson was a member of the faculty at the Vanderbilt University Medical School where he held the Cornelius A. Craig Chair of Medical & Surgical Oncology and served as the Director of the Division of Hematology and Medical Oncology and Deputy Director of the Vanderbilt-Ingram Cancer Center. Dr. Johnson's research interests involve the study of the biology of lung cancer and improving the treatment of this and other solid tumors. He played a key role in the development of the new targeted drugs bevacizumab (Avastin®) and erlotinib (Tarceva®) both of which are now FDA-approved for the treatment of lung cancer. He has authored over 330 peer reviewed articles, 40 book chapters and edited four oncology textbooks. In 2004-2005, Dr. Johnson served as President of the American Society of Clinical Oncology (ASCO) during which time he helped advance ASCO's quality of care activity known as the Quality Oncology Practice Initiative (or QOPI®). QOPI® was subsequently adopted as a Practice Improvement Module for diplomates seeking to maintain their certification in medical oncology. He was instrumental in establishing ASCO's Cancer Survivorship Program. Dr. Johnson also has served on the Food and Drug Administration's Oncology Drug Advisory Committee, as chairman of the Thoracic Committee of the Eastern Cooperative Oncology Group and on the Board of Directors of the National Comprehensive Cancer Network (NCCN), the International Association for the Study of Lung Cancer (IASLC) and the LIVESTRONG Foundation. Dr. Johnson earned his medical degree from the Medical College of Georgia and obtained his medical oncology training at Vanderbilt University. He is board certified in internal medicine and medical oncology. Dena spent 15 years in the public accounting arena specializing in governmental and nonprofit audits. She has worked with local, regional and national public accounting firms, including Arthur Anderson and Deloitte. In 2017, Dena retired as an Audit Partner with Maxwell Locke & Ritter, the largest locally owned and operated CPA firm in the greater-Austin area, where she led the nonprofit practice. Some of her clients included KLRU, Texas CASA, United Way of Greater Austin, Ballet Austin, and Easter Seals of Central Texas. She has served as a board member of Hays Consolidated Independent School District Education Foundation and on numerous other committees in her community. Dena earned both a B.B.A. and a Master of Science in Accounting from Texas Tech University. She is a member of the American Institute of Certified Public Accountants and the Texas Society of Certified Public Accountants. Dena lives in Buda, Texas with her husband and two young children. She is the founder and voice of Dena Speaks, where she dedicates her time as a keynote speaker or facilitator of events with a focus on personal and professional growth. Dena is also currently on the Board of Mission Capital and is a fundraising volunteer for Austin Speech Labs. Scott Joy’s career spans more than thirty years as a business technology professional with Liberty Mutual Insurance, a global property and casualty insurer ranked 68 in the Fortune 500. His work has included technology research and innovation, enterprise architecture community and practices, software development, and end-user infrastructure management. A testicular cancer survivor since 2003, Scott is a steadfast LIVESTRONG advocate and volunteer whose connection to the cause grew even stronger when he lost his wife, Judy, to multiple myeloma in 2013. During Scott’s recovery and Judy’s cancer treatment, their family drew hope, guidance, and support from LIVESSTRONG’s community and services. Scott has participated in Ride for the Roses each year since 2004 and completed 30 Team LIVESTRONG rides in Austin, Philadelphia, Seattle, New York City, and Iowa — usually as a member of Cyclists Combating Cancer. He has volunteered with the LIVESTRONG Leaders program since inception, joined One Voice Against Cancer on Capitol Hill repeatedly, and accompanied LIVESTRONG staff in a White House meeting on the National Cancer Moonshot. Scott is a longtime resident of the New Hampshire seacoast. He has four children, two grown daughters and fraternal twin sons in college. He sings tenor with and serves as Vice President of the chamber chorus Amare Cantare. Scott holds an Sc.B. degree in Electrical Engineering from Brown University and an MBA from the University of New Hampshire. Michelle has worked on global health and development issues with a range of UN, private sector, and civil society partners, including the Bill & Melinda Gates Foundation, LIVESTRONG, UNICEF USA, Sesame Workshop, the UBS Optimus Foundation, Johnson & Johnson, mothers2mothers, amFAR, ICRW, and The University of Texas. Michelle also served as the press secretary and communications director for U.S. Congressman Lloyd Doggett. She was the Director of Public Affairs & Communication for LIVESTRONG, where she worked to raise awareness of cancer survivors’ issues, including helping launch the famous WEARYELLOW wristband campaign with Nike. Michelle earned a Master of International Affairs and a Master of Public Health at Columbia University, and pursued her graduate research at the Rakai Health Sciences Program in Kalisizo, Uganda. She is a proud graduate of The University of Texas at Austin. Michelle lives in Austin, Texas, where she is the United Nations Foundation’s Vice President for Girls and Women Strategy. She leads the Foundation’s efforts to promote gender equality and the rights and agency of all girls and women, working in collaboration with the United Nations (UN) and its partners. She is also the chair of the board of the Ann Richards School Foundation. We mourn the loss and celebrate the life of the following members of the LIVESTRONG Board of Directors. Their leadership, guidance and support made us better public servants and this world a better place for people affected by cancer now. We will always be grateful for the incredible impact they made and the life they filled with purpose and generosity.